Transfer of ownership can simply be done with a Quitclaim Deed or other instrument. When both parties are co-mortgagees on the mortgage note, there is typically no further action needed when retaining the current mortgage as-is. 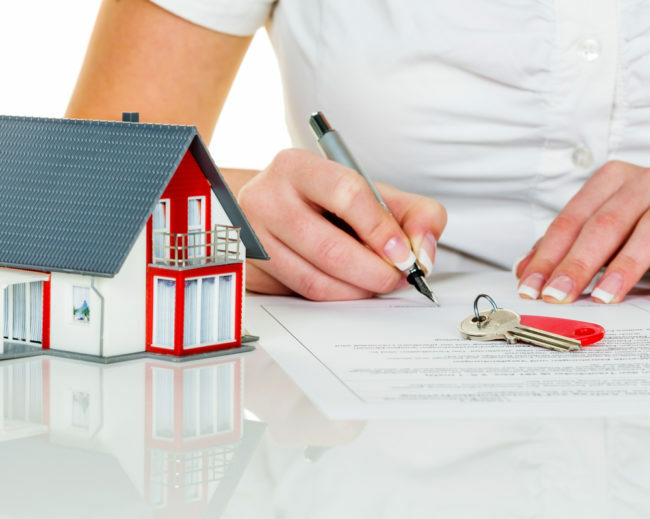 However, it is important to take action and notify the current mortgagor of the ownership transfer to avoid an acceleration of the mortgage due to a transfer of ownership when the party who is retaining the home is not obligated on the current mortgage note. When a former spouse assumes ownership of the home and the mortgage, this does not always mean the mortgage lender will release the original borrower from their financial obligation or liability on the mortgage. A loan assumption is a transaction in which a person (the “assumptor”) obtains an ownership interest in real property from another person and accepts responsibility for the terms, payments and obligations of that other person’s mortgage loan. The assumptor is liable for the outstanding obligations and unless a release of liability is requested, the original borrower will remain liable as well.